While the auction estimate is available only upon request, the Archduke Joseph Diamond is expected to achieve well in excess of US$15 million. Photo: Christie’s Images Ltd 2012. GENEVA.- Christie’s announced that the legendary Archduke Joseph Diamond will be offered at auction in Geneva on 13 November 2012. Undoubtedly one of the rarest and most famous diamonds in the world, this magnificent gem combines an impressive size of 76.02 carats, perfect colour, and internally flawless clarity. Its origin is traced to the ancient Golconda mines in India, the source of the world’s most coveted historical diamonds. As the star lot of the fall jewelry auction season, this spectacular diamond presents an unprecedented opportunity for both new and established collectors to own an incomparable jewel of historical and gemological significance. While the auction estimate is available only upon request, the Archduke Joseph Diamond is expected to achieve well in excess of US$15 million. François Curiel, International Head of Christie’s Jewellery Department, noted: “The magic of auction sometimes brings back great gems to our salerooms more than once. 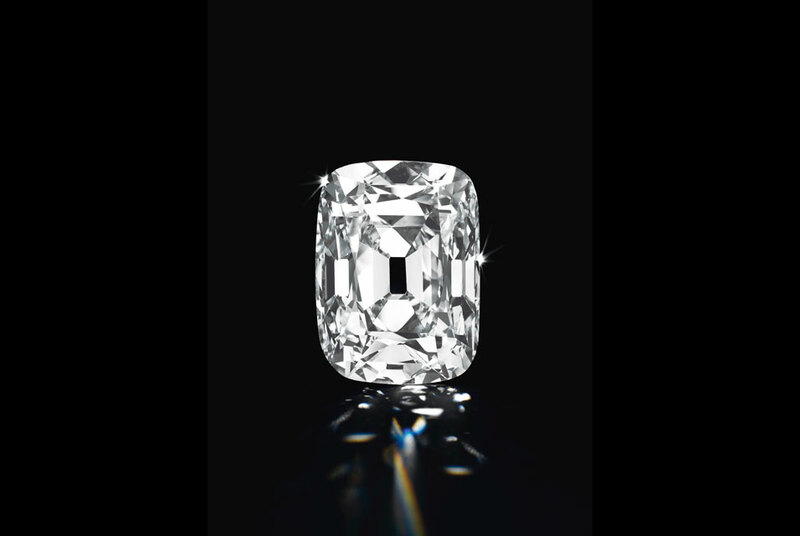 The Archduke Joseph Diamond created a sensation when Christie’s Geneva offered it for sale the first time in November 1993 where it realized CHF 9.7 million (US$ 6.5 million) – the equivalent of $10.5 million today. This November we have the privilege to give both new and established collectors the opportunity to own a piece of history once again.” PROVENANCE OF THE ARCHDUKE JOSEPH DIAMOND Although it is not known exactly when the diamond entered the House of Habsburg, it has been officially recorded as the property of the Archduke Joseph August of Austria, Palatine of Hungary (1872-1962), and was subsequently named after him. As the first son of Archduke Joseph Carl of Austria (1833-1905) and Princess Clothilde of Saxe-Coburg and Gotha (1846-1927), Archduke Joseph August Viktor Klemens Maria was born in Alcsùt (Hungary), on 9 November 1872. He was the great grandson of Emperor Leopold II through his father and the great grandson of King Louis Philippe of France through his mother. In 1893, he married Princess Augusta of Bavaria, the granddaughter of Empress Elisabeth of Austria and Emperor Franz Joseph. He began a distinguished military career in 1890 and attained the rank of Field Marshal of the Austro-Hungarian Army in 1918 and was later named first Regent of Hungary. At the end of World War II, when Hungary was occupied by the Soviet Union, he emigrated for a few years to America but later returned to Germany where he died in 1962. It is believed that the Archduke passed on the diamond to his son, the Archduke Joseph Francis (1895-1957), as records show that he deposited it in the vault of the Hungarian General Credit Bank on 1 June 1933. The diamond was sold three years later to an anonymous buyer who left it in a safe during World War II, fortunately escaping the attention of the Nazis. After decades of mystery, the diamond re-appeared on 22 June 1961 at auction in London, and was finally re-offered for sale in November 1993 at Christie’s Geneva. Slightly recut to 76.02 carats, the diamond is now Internally Flawless in clarity, and exhibits the characteristic limpid transparency for which Golconda diamonds are so celebrated. Rahul Kadakia, Head of Jewellery, Christie’s Americas and Switzerland, commented: “The Archduke Joseph Diamond is the finest and largest perfect Golconda diamond ever to appear at auction. It is comparable in its noble lineage and superb quality to the legendary Koh-i-Noor diamond that forms part of the crown jewels of Great Britain. It is particularly fortuitous to bring this historic gem back to market in the year of Her Majesty the Queen’s Diamond Jubilee.” GOLCONDA ORIGINS The Archduke Joseph Diamond shares its Golconda origins with the most beautiful and illustrious diamonds in the world, including the Koh-i-noor, in the Royal Collection at the Tower of London; the Regent, considered the finest diamond in the French Crown Jewels, at the Musée du Louvre in Paris; and the Hope, gifted by Harry Winston to the Smithsonian Institution in Washington D.C. Located in South Central India, the Golconda diamond fields were an ancient source that traces its roots back to 400 B.C. Up until about 1725, when diamonds were discovered in Brazil, Golconda and a small mine in Borneo were the world’s only sources of these precious gems. Universally esteemed as the world’s finest diamonds, Golconda diamonds have a special whiteness often described as soft, watery, and pure, so that light appears to pass through the stone completely unimpeded.